Nemesia is an annual that is popular in many gardens across the country. It is available in several different colors; however, the most common options for the blooms tend to be in shades of pink, purple, red, yellow, and white. This is a flower that requires very little maintenance, which means that you will get beautiful blooms that simply smell amazing without much work. In this guide, we are going to look at some of the tips to help you grow this plant in your garden at home as well as some of the problems you may face. This is a plant that can grow anywhere in the country, especially since it will grow in containers just as well as it can grow outdoors. If you want to grow this plant outside, it will do best in zones nine through 11. This is a plant that does not require much effort to grow, but certain conditions must be met for the flower to thrive. When these conditions are met, the flower can grow anywhere from one to three feet in height. Light Requirements – This is a plant that likes a lot of sun. In fact, a location where it can receive at least six hours of sun a day is preferred. The sun is required to promote blooming; however, if you live in a tropical location, the afternoon sun may be too hot. This can cause the leaves to be scorched and damaged if they remain in heat that is too intense. Soil Requirements – This is a plant that prefers to have slightly acidic soil to grow. The soil should also be very moist. In fact, a lack of moisture in the soil can keep the plant from flowering. Just be aware that too much water can also be a danger to a plant, so make sure you choose a soil combination that is good for drainage. Soil that contains a little bit of sand is actually very beneficial for this plant. 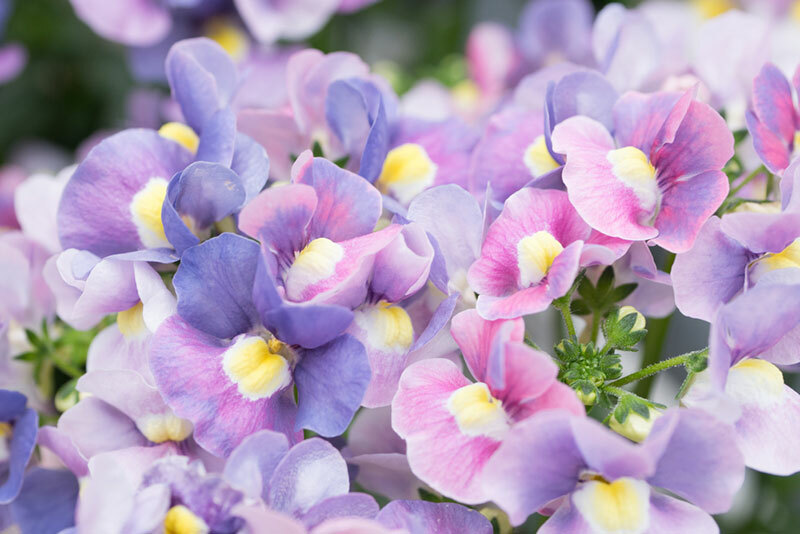 Water Requirements – Nemesia Is a flower that requires regular watering. It really enjoys growing in moist soil, so if you live in a windy, dry place, it may not grow very well in your garden. In fact, this is a plant that prefers is a little bit of humidity. Fertilizer Requirements – Fertilizer is not required for this plant to grow; however, it will help to be applied once per growing season. Slow-release fertilizer is the best option for a mature plant, while a water-soluble fertilizer is going to be the best option for the plant while it is still growing. Pruning Requirements – If you want this plant to bloom a lot, then pruning the dead flowers and the stems is very important. All you need to do is pinch the tips of the plant right before it is time for it to bloom to help encourage denser growth and a more full booming period. If the plant is leaning a bit or saggy on one side, you will be easily able to bring it back by cutting back the plant. Since you are still only pruning the plant, make sure not to cut back more than half of it. 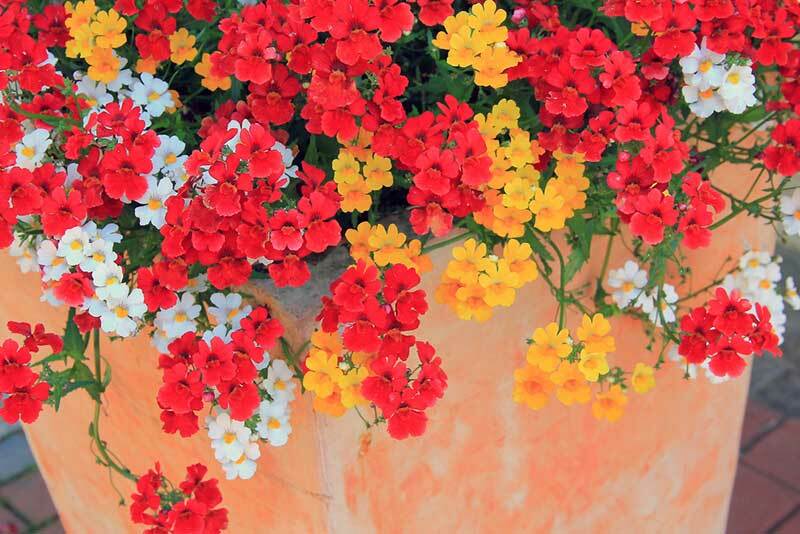 Propagation is the way that you get new nemesia flowers and plants growing in your garden. Most of these plants are propagated using the seeds; however, they can also grow from cuttings during the spring and the summer of each year. Sowing the seeds should begin in the month of March, and the plant should be moved to its permanent location in May. When you are preparing to get a cutting, you will need to choose a part of the plant that has no flowers or buds on it. Using a pair of shears, remove a cutting that is about six inches in length. Once the cutting has been made, wrap the end in a moist paper towel so that the roots can begin to take hold. The most common disease that type of plant it’s likely to encounter is powdery mildew. This happens when the leaves get wet signs you are watering a plant. Powdery mildew looks like a layer of white mold that you won’t find on the foliage of a plant. It spreads quickly in warm weather where slightly humid conditions are present. This is why it is often the first on the scene right after the wettest month of the year. In order to treat and get rid of powdery mildew, you will need to increase the air circulation in your garden and get rid of any stagnant moisture. Avoid overwatering your plants as well as packing them too tightly in the same container. Plants that are affected should be removed and sprayed with fungicide. This is a disease that will only infect the plant that you would find it growing on. It will not be able to cross-contaminate to another type of plant. If you are afraid to use chemicals in your garden to treat powdery mildew, you can create an organic treatment instead. This mixture consists of a half a quart of milk and 4½ quarts of water, and it will need to be sprayed on the plant every week until all of the powdery mildew is gone. The most common pests that you will find bothering this plant are aphids. Aphids are small insects that eat sap from the plant. When it attacks your plants, it will do a lot of damage. One of the best ways to keep aphids out of your garden is to have plenty of ladybugs in the area. Ladybugs actually eat aphid larvae, so they will easily be able to help you control the situation. Another safe way to get rid of aphids is to use an easy-to-create mixture of soapy water that you can spray on the leaves.